Japan’s Saga Prefecture is continuing its promotional campaign to attract visitors in two new animated shorts. 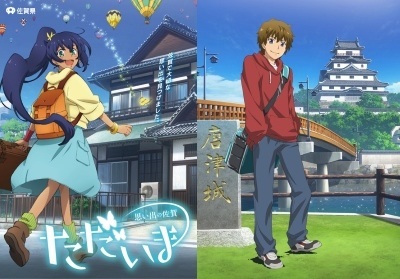 The shorts are titled, “Tadaima” and “Okaeri”. “Tadaima” follows a Thai foreign exchange student named Mei who finds herself bewildered when she first arrives at Saga station. She gets on a bus and, through interactions with the residents of Saga wherever she goes, she makes her own “precious memories.” “Okaeri” follows high school senior Sora who is aiming to be a professional soccer player. Unfortunately, Sora is injured and finds that the path to being a pro in Tokyo is now closed to him. He decides to find a new path in Saga Prefecture’s Karatsu city.